A, Cumulative incidence of symptomatic urinary tract infection (UTI) during an 18-month follow-up period (x-axis) of women with type 1 DM with (upper curve) and without (lower curve) asymptomatic bacteriuria (ASB) at baseline (relative risk = 0.75; 95% confidence interval, 0.29-1.96; P = .60). No patients had UTI symptoms at baseline. Patients were withdrawn from further follow-up at the moment of UTI incidence or when antimicrobial treatment was given for any reason. B, Cumulative incidence of symptomatic UTI during an 18-month follow-up period (x-axis) of women with type 2 DM with (lower curve) and without (upper curve) ASB at baseline (relative risk = 1.91; 95% confidence interval, 1.21-3.01; P = .005). Background Women with diabetes mellitus (DM) have asymptomatic bacteriuria (ASB) more often than women without DM. It is unknown, however, what the consequences of ASB are in these women. Objective To compare women with DM with and without ASB for the development of symptomatic urinary tract infections (UTIs), renal function, and secondary complications of DM during an 18-month follow-up period. Methods In this multicenter study we monitored women with DM with and without ASB for the development of symptomatic UTIs, renal function, and secondary complications (ie, retinopathy, neuropathy, microvascular, or macrovascular diseases). Data on the first 18-month follow-up period are presented. Results At least 1 uncontaminated urine culture was available from 636 women (258 with type 1 DM and 378 with type 2 DM). The prevalence of ASB at baseline was 26% (21% for those with type 1 DM and 29% for those with type 2 DM). Follow-up results were available for 589 (93%) of the 636 women. Of these 589 women, 115 (20%) (14% with type 1 DM and 23% with type 2 DM) developed a symptomatic UTI. Women with type 2 DM and ASB at baseline had an increased risk of developing a UTI during the 18-month follow-up (19% without ASB vs 34% with ASB, P = .006). In contrast, there was no difference in the incidence of symptomatic UTI between women with type 1 DM and ASB and those without ASB (12% with ASB vs 15% without ASB). However, women with type 1 DM and ASB had a tendency to have a faster decline in renal function than those without ASB (relative increase in serum creatinine level 4.6% vs 1.5%, P = 0.2). Conclusion Women with type 2 DM and ASB have an increased risk of developing a symptomatic UTI than those without ASB. WOMEN with diabetes mellitus (DM) have asymptomatic bacteriuria (ASB) more often than women without DM.1-3 In a large multicenter study we recently reported a prevalence of ASB of 26% in women with DM and of 6% in women without DM.4 Preliminary findings, based on a small patient sample of Harding et al5 showed that women with DM and ASB had a much higher chance to develop pyelonephritis (and not cystitis) than those without ASB during a 3-year follow-up period. In a small prospective study of 58 women without DM but with ASB (1-year follow-up), 18 women (31%) developed a symptomatic urinary tract infection (UTI).6 In other studies of patients without DM,7 it was suggested that ASB can lead to recurrent UTIs8-10 and progressive renal impairment.11,12 It is unknown, however, whether ASB leads to symptomatic UTI and/or a decline in renal function in patients with DM.2,3 Since DM already is a risk factor for the development of renal function disturbances, the question arises whether the presence of ASB in patients with DM leads to a faster decline in renal function. The aim of the present multicenter study was to compare women with DM with and without ASB for the development of symptomatic UTIs, renal function, and secondary complications of DM during an 18-month follow-up period. Since type 1 DM and type 2 DM are different diseases, we decided to analyze these 2 groups separately and to compare these 2 groups for the aforementioned variables. Patients were recruited between October 8, 1996, and September 30, 1997, from the DM outpatient clinics of the University Hospital, Utrecht (tertiary care hospital), 3 nonuniversity hospitals (Diakonessenhuis, Utrecht; Bosch Medicentrum's Hertogenbosch; and Catharina Hospital, Eindhoven, the Netherlands) and the offices of 7 general practitioners. Patients were asked to participate (voluntarily) by their treating physician and were enrolled by one of us (S.E.G.). Inclusion criteria were women with either type 1 DM or type 2 DM who were aged between 18 and 75 years. Exclusion criteria were as follows: pregnancy, recent hospitalization or surgery (<4 months), known urinary tract abnormalities, symptoms of a UTI, or the use of antimicrobial drugs in the previous 14 days. Approximately 75% of the eligible women participated. There were no differences in age or in the type and duration of DM between nonparticipating patients and the final study group. The present study had the approval of the medical ethical committee of all hospitals and all patients gave written informed consent. All patients were interviewed at baseline and their medical histories were obtained from the hospital records using a standardized questionnaire, including age, type and duration of DM, secondary complications of DM, medication(s), and the number of UTIs in the previous year. The following laboratory values were also obtained: glycosylated hemoglobin A1c, serum creatinine, albumin, glucose, leukocytes, and urinary pH. At least 1 uncontaminated urine culture was available from 636 women (265 from university hospitals, 347 from nonuniversity hospitals, and 24 from offices of general practitioners). Of these women 258 had type 1 DM and 378 had type 2 DM. The prevalence of ASB at baseline was 26% (21% in those with type 1 DM and 29% in those with type 2 DM). All patients were given a standard form with a return envelope and asked to mail the form to one of us (S.E.G.) if they developed a symptomatic UTI or used antimicrobial agents for any reason during the 18 months after inclusion in the study. Furthermore, all patients came to the same treating physician every 3 months after inclusion, who asked the patient if she had developed a symptomatic UTI or had taken antimicrobial agents in the time between inclusion and these outpatient clinic visits. The development of secondary complications (ie, retinopathy, neuropathy, or macrovascular diseases) during the study period was also recorded by the treating physician. When data discrepancies were noted, the patient and the general practitioner of the patient were telephoned to resolve these conflicting findings. Antimicrobial therapy was usually prescribed by a general practitioner after diagnosing a UTI in symptomatic women by using urinary diagnostic tests (urine culture or microscopic analysis or leukocyte esterase on dipstick testing). Finally, one of us (S.E.G.) telephoned all of the patients (or the general practitioner of the patient when the patient had moved) for whom follow-up data were incomplete. The glycosylated hemoglobulin A1c, serum creatinine, and urinary albumin values were determined at baseline and at the end of the follow-up period. Two screening methods were used simultaneously at the University Hospital Utrecht and the St Joseph Hospital: first, a Uricult Dipslide (Orion Diagnostica, Espoo, Finland) was dipped in freshly voided midstream urine; and second, a direct preparation was made, meaning that urine was put on a slide and viewed at ×40 magnification. If at least 105 colony-forming units/mL grew on the Dipslide or 5 leukocytes or more or 10 microorganisms or more were seen on the slide, the urine sample (stored in the refrigerator) was plated onto blood agar and MacConkey plates, and the results were read after 24 hours. Causative microorganisms were identified using an automated identification system (Vitek; BioMérieux, Den Bosch, the Netherlands). All urine samples were plated in the Bosch Medicentrum and the Diakonessenhuis using quantitative loops. No results were noted if the plate yielded 3 or more different microorganisms, and the urine was regarded as contaminated. For the definition of a positive culture, see the "Definitions" section. The patients and the patients' physicians were blinded for the culture results. Albumin excretion was measured in 24-hour urine samples and defined as normoalbuminuria when albumin excretion was less than 30 mg/24 h, microalbuminuria when albumin excretion was 30 to 300 mg/24 h, and macroalbuminuria when albumin excretion was 300 mg/24 h or more. Lower UTI (cystitis) was defined as the report of the presence of dysuria, frequency, urgency, stranguria, and/or abdominal discomfort. Upper UTI (pyelonephritis) was defined as the above reports and/or the presence of flank and/or lower back pain and fever (temperature >38.3°C).16 A history of recurrent UTI (UTI-prone) was defined as a history of at least 3 symptomatic UTIs in the year before study enrollment. The relative increase in the levels of serum creatinine, albumin, and glycosylated hemoglobulin was defined as the difference between the values after 18 months and the baseline values divided by the baseline values multiplied by 100. Absolute and relative values between baseline and follow-up were compared between patients with DM with and without ASB, using the t test for continuous variables, the Mann-Whitney test for categorial variables, and the χ2 test for dichotomous variables. 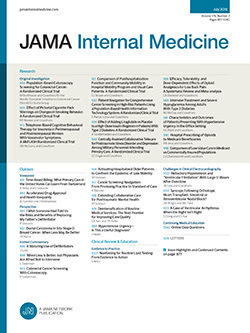 Asymptomatic bacteriuria as a risk factor for the incidence of a UTI was investigated using a Cox proportional hazards analysis, in which patients were censored when antimicrobial therapy was started for any reason, which resulted in a hazard ratio as the approximation of the relative risks. No other controlling variables, aside from time, were used. We found that age was not a risk factor for the development of UTI or relative increase of serum creatinine level in this patient group. Therefore, the analyses were not age-adjusted. All analyses were performed on the entire study population and on women with type 1 DM and type 2 DM separately. P<.05 was considered statistically significant. Follow-up results were available for 589 women (93% of the study population). Reasons for inadequate follow-up included the following: impossibility to reach the patient (n = 41), known death (n = 4: 2 of cardiovascular causes, 1 of breast carcinoma, and 1 of pneumonia), renal-pancreas transplantation (n = 1), and patient refusal (n = 1). Clinical characteristics (ie, age, the percentage of women with type 1 DM, and the percentage of women with ASB at baseline) between patients with and those without follow-up did not differ significantly (P>.60). Patients included from the offices of general practitioners were comparable with the other women with type 2 DM (mean age, 62.3 years; mean duration of DM, 6.8 years; and mean baseline serum creatinine level, 84 µmol/L [0.95 mg/dL]; 25% of them developed a symptomatic UTI during the follow-up period). We did perform the analyses after excluding these 24 patients, and the results remained essentially the same. The descriptive characteristics of all women, those with type 1 DM, and those with type 2 DM are listed separately in Table 1. The mean age of all (with and without ASB and with and without UTI) women with type 1 DM was lower than of all women with type 2 DM (Table 1). Age was a risk factor for having ASB,4 but not for the development of symptomatic UTIs (mean age, 51.3 years for all women without UTI and 54.5 years for all women with UTI). Women with ASB developed UTIs (P = .02) and received antimicrobial therapy for them more often (P = .01) during the 18-month follow-up period than women without ASB at the moment of inclusion. After developing the first symptomatic UTI, no differences were seen in the number of UTIs between women with and those without ASB at baseline (P = .40). In contrast to women with type 2 DM (P = .006), no difference in the incidence of symptomatic UTI was found between women with type 1 DM with and without ASB (P = 0.8) (Table 2). It can be expected that women who receive antimicrobial therapy for reasons other than a UTI may be less prone to a UTI. Because of this, a second analysis was conducted (Cox proportional hazards model) in which women were included in the follow-up only until the start of antimicrobial therapy for any reason. The Cox proportional hazards analysis was used to adjust for differences in the follow-up time between patients, and to use only the follow-up period during which the women did not use antimicrobial therapy. The presence of ASB at baseline increased the risk of UTI incidence in women with type 2 DM (relative risk = 1.91; 95% confidence interval, 1.21-3.01; P = .005; Figure 1 B), but disappeared for women with type 1 DM (relative risk = 0.75; 95% confidence interval, 0.29-1.96; P = .60, Figure 1 A). The figure indicates that the increased risk of UTI is continued during the follow-up period and starts immediately after the inclusion of the patients. Women with type 1 DM with ASB had a greater relative increase in serum creatinine level than those without ASB (4.6% vs 1.5%, P = .20) (Table 2). No differences were demonstrated in renal function development between women with type 2 DM with and without ASB (6.6% vs 6.1%, P = .90) (Table 2). Because the development of microvascular and macrovascular complications may be responsible for a decrease in renal function, we also analyzed the occurrence of these complications. Neither the risk of microvascular and macrovascular complications nor the development of microalbuminuria was increased in women with or without ASB (P>.40) (Table 2). Of the total study population (n = 589) (type 1 DM and type 2 DM together), 115 women (20%) (34 women [14%] with type 1 DM and 81 women [23%] with type 2 DM) developed at least 1 symptomatic UTI, and 96 women (83%) (30 women [88%] with type 1 DM and 66 women [81%] with type 2 DM) of them were given antimicrobial therapy. The mean number of symptomatic UTIs was 1.9 per patient: 66 patients developed 1 UTI, 28 patients developed 2 UTIs, 8 patients developed 3 UTIs, and 12 patients developed 4 or more UTIs. Five of the patients with more than 2 UTIs may have had a relapse, because they developed the next UTI within 2 weeks of the first UTI. The first UTI during follow-up was used in all analyses. The cystitis-pyelonephritis ratio was 37:1. The mean duration between study inclusion and development of a UTI was 7 months. Age was not a risk factor for the development of UTI in the entire study group and separately in women with type 1 DM or type 2 DM. Age was also not a risk factor for a faster renal function decline. Women with type 1 DM and ASB had a greater relative increase in serum creatinine level than those with type 1 DM without ASB (4.6% vs 1.5%, P = .20) (Table 2). Other events during the 18-month follow-up period included the following: antimicrobial therapy for other reasons (54 women [25%] with type 1 DM and 67 women [21%] with type 2 DM), development of retinopathy (12 women [5%] with type 1 DM and 9 women [3%] with type 2 DM), peripheral neuropathy (7 women [3%] with type 1 DM and 15 women [4%] with type 2 DM), and occurrence of macrovascular disease (1 woman [1%] with type 1 DM and 10 women [3%] with type 2 DM). We compared the development of symptomatic UTIs, renal function, and secondary complications in women with DM and ASB with those in women with DM without ASB during an 18-month follow-up period. We found that women with type 2 DM and ASB have a greater chance of developing a symptomatic UTI than women with type 2 DM without ASB. Other risk factors for the presence of ASB at baseline or for the development of a symptomatic UTI during follow-up have been described in separate articles.4,17 To our knowledge, this is the largest follow-up study of women with DM with and without ASB. Others showed no differences in the incidence of UTI development between 53 patients with DM with ASB and 54 patients with DM without ASB during a follow-up period of 14 years.18 However, that study was small and only the development of pyelonephritis (and not cystitis) was investigated. Regardless, like Semetkowska et al,18 we diagnosed pyelonephritis in a few women (3 women, all without ASB at the moment of study enrollment). It is hypothesized that ASB may develop into symptomatic UTI and cause renal function disturbances. A study of 104 patients with DM (95 females) and bacteriuria, who were followed up for a mean period of 44 months after therapy, showed significantly more events of persistent bacteriuria in women with microvascular complications (proteinuria or retinopathy), but no differences in renal function (measured by serum urea nitrogen level) between the 2 groups at the end of the follow-up period. However, a higher percentage of patients with persistent bacteriuria did have abnormal pyelograms compared with patients without such infections.22 Despite the fact that a pyelogram is not the most adequate way to measure renal function, this finding may indicate that bacteriuria can lead to renal function disturbances. The same phenomenon was found in a 5-year follow-up study of ASB in schoolgirls without DM.11 In that study minimal renal damage was demonstrated in patients with ASB compared with nonbacteriuric controls. Furthermore, schoolgirls with ASB had a higher chance of developing asymptomatic and symptomatic bacteriuria when they became pregnant.11 In concordance with these studies, we found that ASB predisposes to the development of a UTI. Furthermore, we did not find an increase in the absolute serum creatinine level during the 18-month follow-up period. Nevertheless, we could demonstrate a tendency to renal deterioration by measuring the relative increase of serum creatinine level in women with type 1 DM, which was higher in women with ASB than in those without ASB (4.6% vs 1.5%, P = .20). Because no differences were found in the development of secondary complications between these groups, the deterioration in renal function may be the result of the ASB and not due to the development of microangiopathy. In contrast, Freedman23 reviewed retrospective and prospective studies and found that UTI in the absence of other predisposing factors does not lead to renal damage. Therefore, since ASB in combination with microangiopathy may possibly be harmful to the kidney, longer follow-up studies are needed to investigate whether renal function deteriorates in women with DM and ASB. We found that ASB leads to symptomatic UTI in women with type 2 DM, but not in women with type 1 DM. Since symptoms of a UTI are considered as a sign of inflammation of the urinary tract, it could be that women with type 1 DM have a less adequate inflammatory response (and as a result fewer symptoms) than women with type 2 DM. Our data show that women with DM and ASB have lower urinary cytokine concentrations and leukocytes than women without DM with ASB. Furthermore, we found that women with type 1 DM had a lower secretion of proinflammatory cytokines after monocyte stimulation compared with women with type 2 DM or control subjects.24 This inadequate host response possibly plays a role in the absence of UTI incidence in women with type 1 DM. However, women with type 1 DM might clear their bacteria without symptoms more easily than women with type 2 DM. This phenomenon of bacterial clearance without clinical symptoms was demonstrated in a Polish study25 where 20 (51%) of the 39 women with DM and ASB cleared their bacteria without developing symptoms during an 18-month follow-up period. The strength of our study is that it is a multicenter study with, to our knowledge, the largest group of patients with DM, ever described. The most important limitation of this study is that we did not culture the urine sample the moment that the patient developed symptoms of a UTI. However, the Dutch guidelines advise to diagnose a UTI with sediment microscopy or nitrite test,26 which was performed in 83% of the cases. Moreover, the diagnosis of a UTI, based on symptoms in the absence of a urine culture, has also been used in the analyses of the previous mentioned large prospective study of Hooton et al.19 Other limitations are that we measured the renal function by serum creatinine level, which is a commonly used and practical, however not very precise, way to detect renal deterioration. Furthermore, we do not know if the nonsignificant faster decline in renal function in women with type 1 DM and ASB is the cause or the result of the ASB. In other words: Are women with DM and a faster decline in renal function more susceptible to develop ASB (as another diabetic complication) or is the decline in renal function the result of the presence of bacteria? Nevertheless, when it is true that ASB contributes to the development of diabetic nephropathy, this would have important consequences. Diabetes mellitus now accounts for 35% of all new cases of end-stage renal disease in the United States, and persons with DM make up the fastest growing group of renal dialysis and transplant recipients.27,28 Therefore, longer follow-up studies and also better renal function determinations (as ongoing in our center) are needed to give a definite answer to this question. Women with type 2 DM and ASB had an increased risk of developing a symptomatic UTI compared with those without ASB. Furthermore, ASB was associated with a tendency to renal function decline in women with type 1 DM during the 18-month follow-up period, but we cannot conclude that ASB is associated with the progression of renal disease in women with type 1 DM. University Hospital, Utrecht: E. W. M. T. ter Braak, M. C. Castro Cabezas, P. S. van Dam, T. W. van Haeften, J. B. L. Hoekstra, P. C. Ligtenberg-Oldenburg, H. W. de Valk, H. E. Westerveld, P. M. J. Zelissen. Catharina Hospital, Eindhoven: B. Bravenboer. Diakonessenhuis, Utrecht: J. B. L. Hoekstra, W. M. N. Hustinx. Bosch Medicentrum's Hertogenbosch: K. P. Bouter. The general practitioners from Utrecht: C. L. M. Appelman, C. P. Bouter, W. H. Eizenga, Y. W. M.Gresnigt, W. van der Kraan, and M. E. Numans. The general practitioner from Amsterdam: G. Ijff. The Students From University Hospital, Utrecht: M. Bellaar, M. Kuipers, and R. Jansen. The medical microbiologist From University Hospital, Utrecht: J. Verhoef. St Joseph Hospital Laboratory, Veldhoven: A. R. Jansz. Diakonessenhuis Laboratory, Utrecht: R. J. A. Diepersloot. This study was supported by a grant (Project No. 95.123) from the Dutch Diabetes Fund, Amersfoort, the Netherlands. Presented as a poster (poster session 53.L, number 604) at the 39th Interscience Conference on Antimicrobial Agents Chemotherapy, San Francisco, Calif, September 26-29, 1999. We thank M. Rozenberg-Arska, MD, medical microbiologist, University Hospital, Utrecht, the Netherlands, for translating the Polish-language articles. Drs Geerlings, Camps, Netten, and Collet recruited and provided the follow-up for the study patients. Dr Schneeberger provided microbiological advice. Dr Geerlings collected data. Drs Geerlings and Stolk performed data analysis. Dr Hoepelman initiated and supervised the project. Drs Geerlings, Stolk, and Hoepelman wrote the manuscript. All authors actively participated in the study (eg, during study meetings and by issuing advice). Corresponding author: Andy I. M. Hoepelman, MD, PhD, Department of Internal Medicine, Division of Infectious Diseases and AIDS, Eijkman Winkler Laboratory for Medical Microbiology, University Hospital, Utrecht, PO Box 85500, F 02.126, 3508 GA Utrecht, the Netherlands, (e-mail: I.M.Hoepelman@digd.azu.nl).